The other day at the gym, I saw a strange-looking guy with a box for a bag. I couldn’t take my eyes off this thing, a motorcycle bag made out of a cardboard box. I just had to take a photo. He’s made it all himself — straps and lid and all. Good ol’ Boxman, I call him in my head. Quite, um … unusual, industrious, innovative. Yeah, those aren’t the words I’m looking for. “Well, I just make another one,” he replied. So Boxman saves a fortune on bags. It’s functional alright, but good lord, I wouldn’t be seen dead with a bag like that. Different strokes for different folks. Pulling back the latch, he gets out his sports gear. I suspect he’s borrowed that, plus his boots and jacket from a friend. Or who knows, maybe he’s spent a lot of money on that stuff or made it himself. 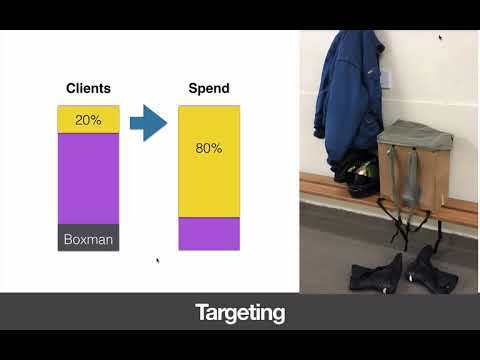 The point is: The top 20% of clients will spend 80% of the money … and if you’re selling bags, Boxman doesn’t even sit in the 80%. He’s all the way at the bottom. In any market, you may have a Boxman approach you for a freebie. So you need to target the top 20%, the people who are really going to buy your product and see its value. 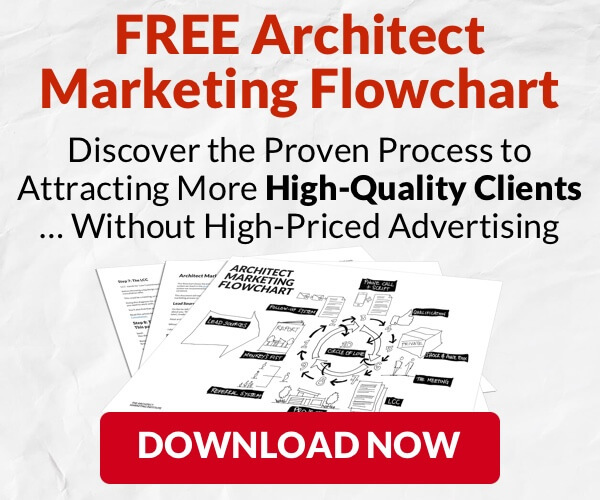 To follow the 80/20 principle in architect marketing, we need to find who are the top 20%, who are the other 80%, and define the Boxmen who you want to avoid at all costs. For me, the type of prospective clients who fit in the top 20% are: proactive, coachable, fast action takers, moderately successful, probably had success from getting advice from someone else, and okay with spending money to get high-quality advice. The other 80% are skeptical, occasional action takers, and perhaps a bit reactive. Who’s my Boxman? 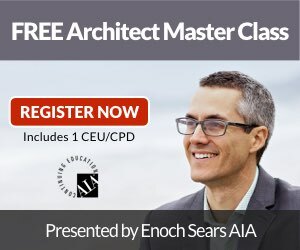 He has no money and already thinks he knows everything about architect marketing. Avoid the Boxmen in your market and possibly even the 80%. 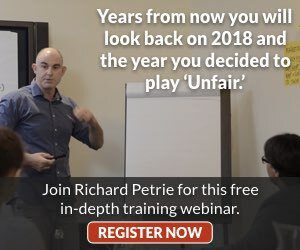 Your ideal situation is to target the top 20% and provide incredible value throughout a process that flows and is enjoyable for everyone involved. The 80/20 principle in architect marketing is incredibly important — lesson learned from the story of the Boxman and his ‘amazing’ backpack.